English Heritage have announced that the survey and initial data processing of the recent laser scan of Stonehenge is now complete, and present an update with a short video fly-though of the data. Most surprisingly, initial assessment of the survey has suggested that the ‘grooves’ resulting from stone dressing on some sarsen stones (the standing stones) appear to be divided into sections, perhaps with different teams of Neolithic builders working on separate areas. The model will be a powerful tool for tracking changes in the physical condition of Stonehenge, and for deepening our understanding of its construction and the thinking and working habits of its creators, plus changes to the monument in later history. 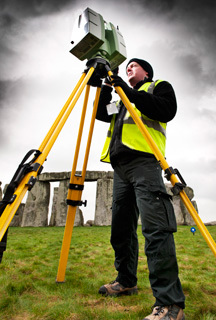 In March 2011 English Heritage commissioned 3D laser scanning specialists the Greenhatch Group, together with Atkins Mapping and Archaeo-Environment Ltd, to capture the stones and the landscape surrounding them at a level of precision and definition never before attempted. 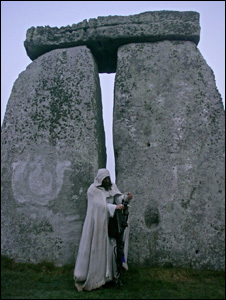 The survey includes all the visible faces of the standing and fallen stones of Stonehenge, including Station, Heel and Slaughter stones, as well as the top of the horizontal lintels. The resultant high resolution archival data and 3D meshed models is currently being synthesised and will be officially published and shared with the wider archaeological community in due course. Experts will also further analyse and study the archaeological significance of the data. A variety of 3D models and datasets which can be manipulated and customised to simulate fly-over views of the monument from different perspectives will be used by English Heritage’s interpretation team who is working on the new galleries of the proposed visitor centre.